That’s right. I make up words. A Youme Journal is something my husband and I have been working on with our kids for the past 5 months. The idea developed from an attempt to get more writing practice for our son, and soon morphed into an activity for our daughter as well. It’s a very simple concept that has yielded tremendous results for our family. Each child has a Youme Journal. We use a cheap blank composition notebook. 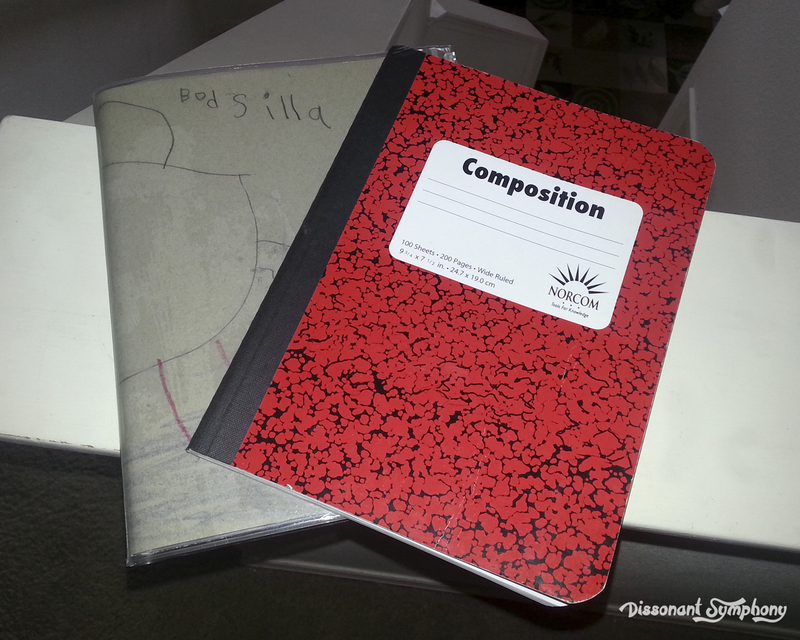 I stock up on them during school supply season and use them all year-long for copywork, dictation and our journals. The little man has a primary journal variety that includes a blank space for drawing a picture on top, while my daughter just uses a standard ruled notebook. Every day (mostly) the kids spend a few minutes writing in their Youme Journal. 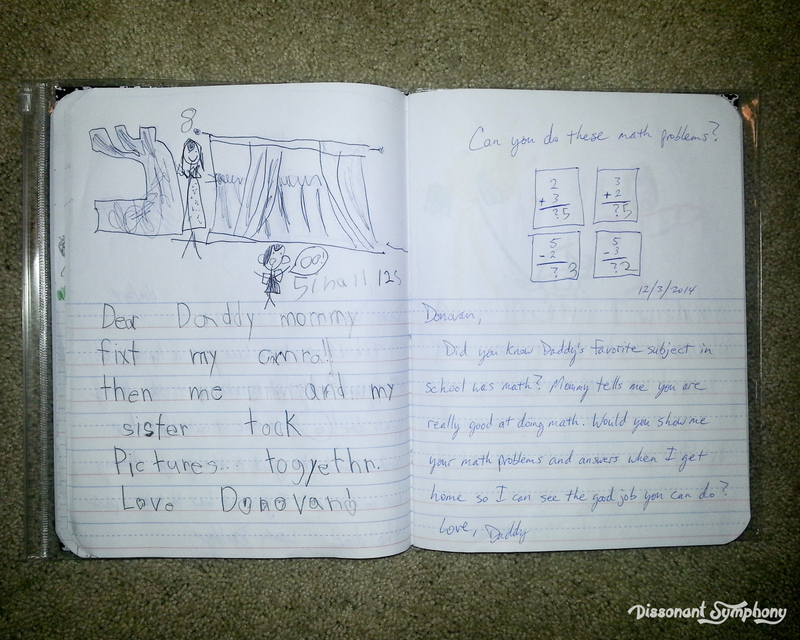 My son writes back and forth with his Daddy, and my girl writes with me. A journal between you, and me. Youme. They talk about whatever they want. At eight years old, my daughter frequently writes about books she’s reading, interactions with her brother and challenges she’s facing. 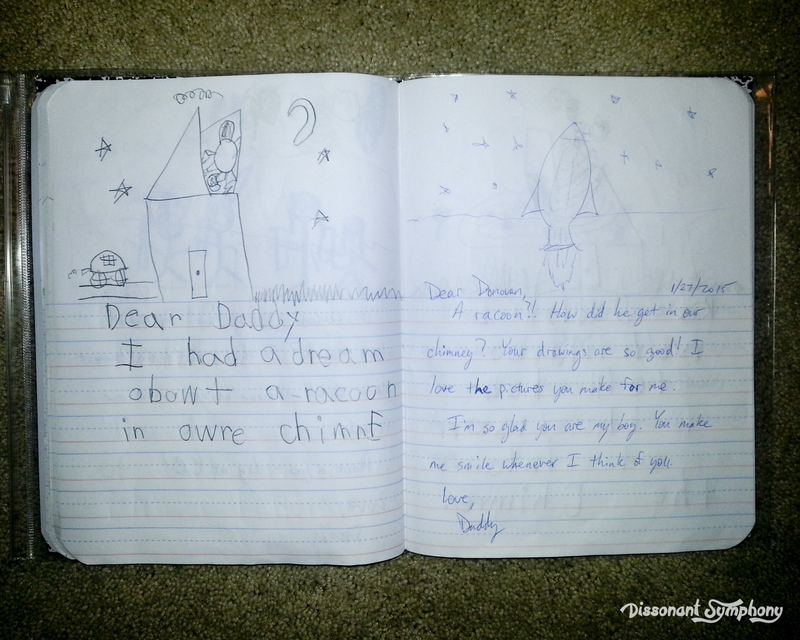 My kindergarten aged son discusses nighttime dreams, upcoming events and activities. 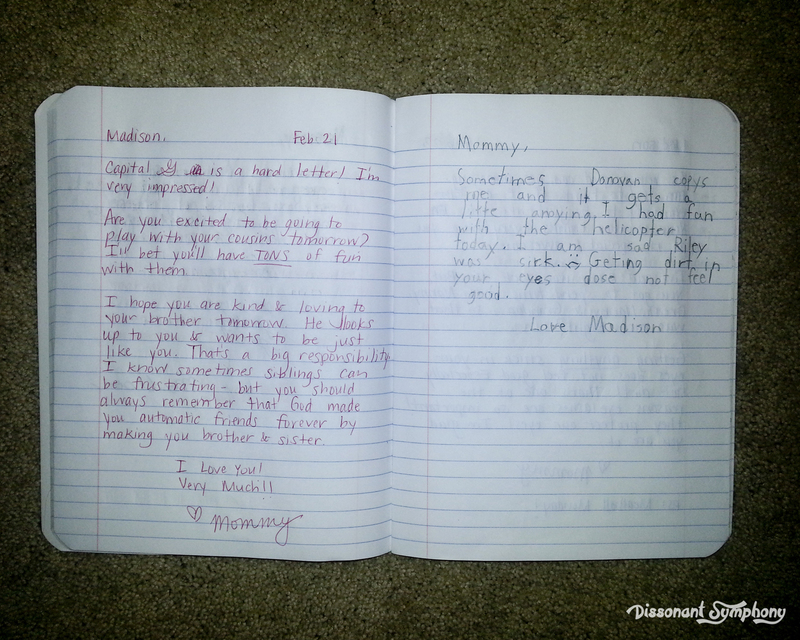 The kids leave their journals on the night stands in my bedroom and before my husband and I tuck in for the night, we respond to their daily entries. Our replies are often encouraging, helping brainstorm solutions and building excitement for upcoming events. Sometimes we’re just laughing with our kids on paper. 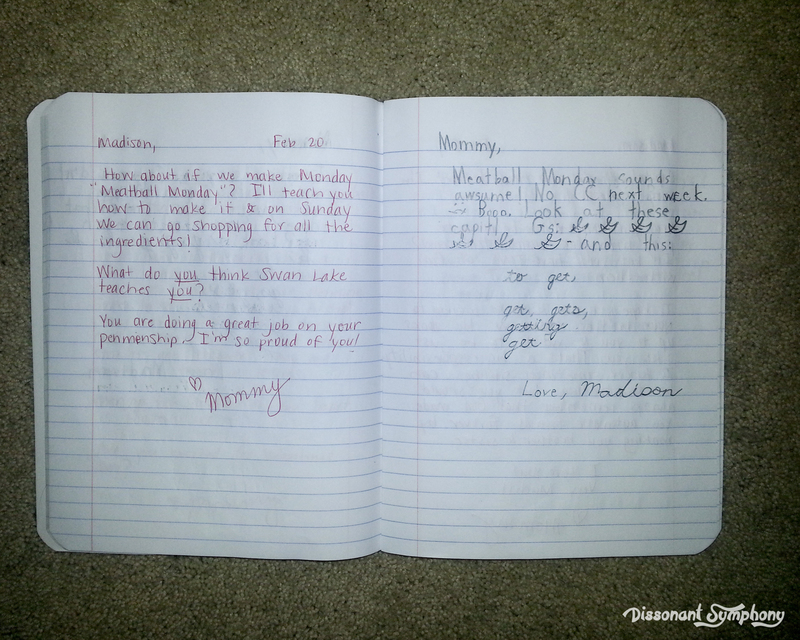 The journals get deposited outside bedroom doors for the munchkins to find in the morning. 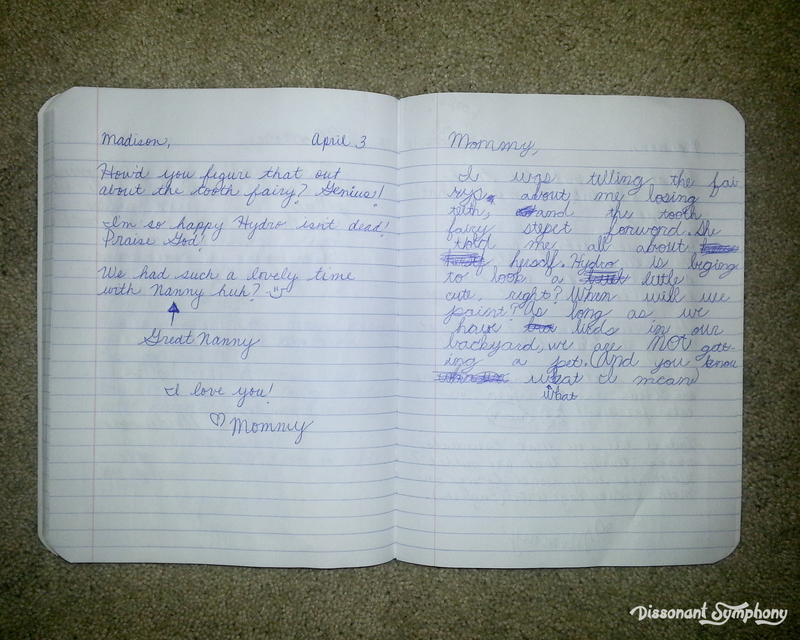 I don’t correct spelling in the Youme Journals (including my own errors…ha-ha-ha!). The only Language Arts lesson included with the journals is instructing the kids to use their best handwriting. That’s it. 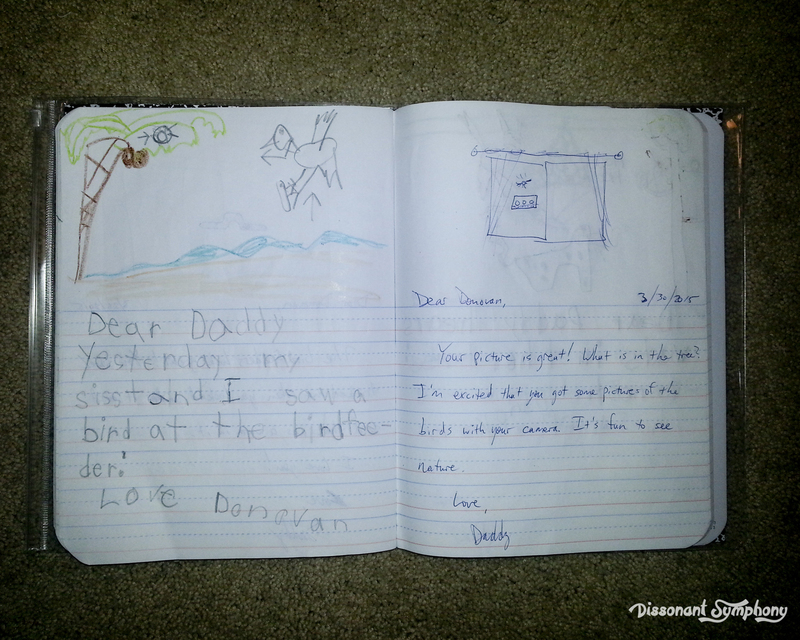 The primary purpose of the journals was to help our son have more practice writing, so handwriting is really the only requirement. And to be honest, the penmanship issue is not really something we revisit often. The more they write, the more comfortable they are writing. My daughter’s journal recently transitioned from printed entries to cursive – so it’s become a great handwriting practice tool for her as well. Obviously, since we homeschool, I can work in extra instruction on capital letters, using good adjectives, punctuation etc. as the journals indicate that’s needed. Once or twice I’ve dropped a hint to my hubby that the boy needs to be encouraged regarding school. The kids don’t need to know that’s happening. I’ve said before I’m a sneaky mother – now you have another example. For the most part however, I simply enjoy communicating with my children in a different way. Having a little window into their thoughts is a pretty special experience. Next > How Can It Be 20 Years? These devotions are a blessing to me. I also share then to my friends on facebook and my family. Please keep up this ministry. I love your thinking process. Oh Sandy, Thank you so much for your kind words. I cannot express how much it blesses me to be able to share my thoughts with you regarding my journey with the Lord.